It is an industry standard to use dried hops in the beer production process for both Florida hop growers and hobby brewers. 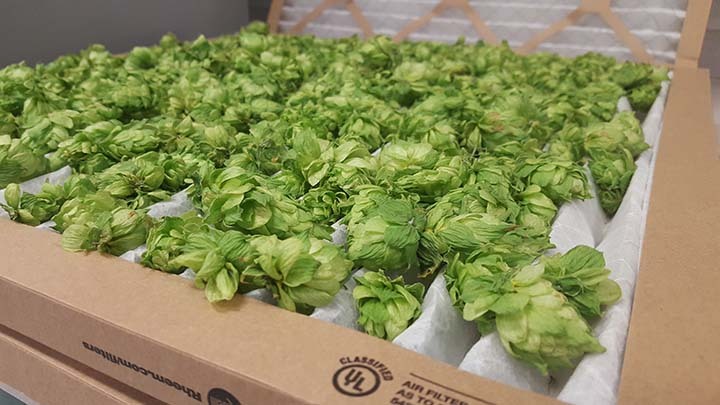 This EDIS publication focuses on the drying of post-harvest hops (Humulus lupulus) before storage to prevent mildew or mold growth. Dried hops post harvest and drying method. The same drying principles can also be used for any high-value horticultural crops that require a post-harvest drying period, such as teas, herbs, and other medicinal or aromatic species. To see the full document and download its PDF, follow this link.